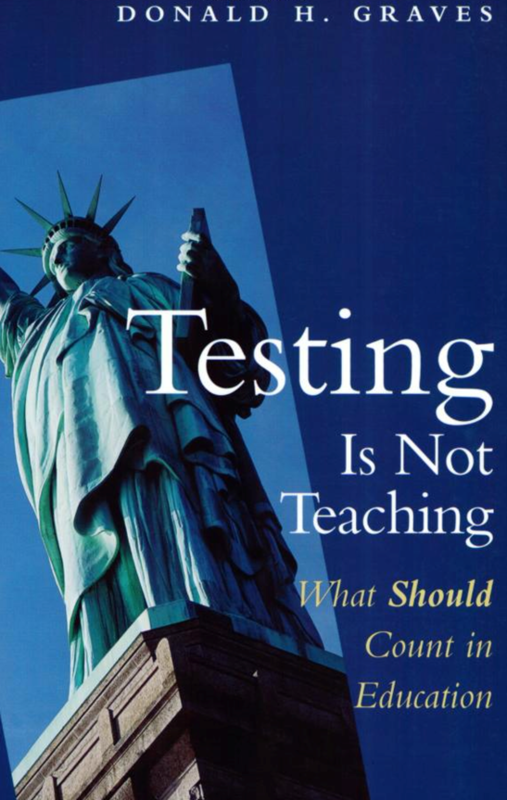 Politicians of all stripes are obsessed with testing, especially the testing of reading. Underlying all their rhetoric is the belief that testing will improve reading ability. If scores go up, this must mean that children have become better readers. Unfortunately, the principle means for assessing reading ability are multiple-choice tests, where children must choose the correct answer. Multiple-choice tests examine convergent thinking. They cannot tell us if the children have read books, related one book to another, or applied texts to their own lives. Worse, the texts children encounter in these tests are often significantly inferior to those written by professional writers. Real authors order their information to engage their readers, and their characters have real personalities, breathe real air, navigate real life. Still worse, testing implicitly rejects self-expression by focusing on a child’s ability to receive information. There is little time left for children to demonstrate serious thinking through writing, drawing, conversation, and debate. Students are not required to use their own words to explicate their ideas. Current testing approaches do not tell us whether students are capable of using information to express ideas of their own. We forget that writing is the making of reading. Children who write apply phonics, construct syntax, and experience the full range of skills inherent in authoring a text. Writers are more assertive readers and are less likely to accept the ideas and texts of others without question, since they are in the reading-construction business themselves. But writing is very expensive to assess and, unlike reading, seldom evaluated. The increased emphasis on testing and its attendant promise of rewards has led school systems to abandon the reading approaches that are more likely to produce lifelong readers. Observe the language used to discuss the teaching of reading these days. Notice the emphasis on scores and standards with very little discussion about the ideas that can open the lives of children. We have forgotten the purpose behind reading and have treated it as an end in itself. Sadly, one of the greatest tragedies of our modern-day schools is the proliferation of aliterate children, who can read but choose not to because there’s no real opportunity to engage with books. The pronounced emphasis on testing has created an enormous imbalance between skills and the purposes behind those skills. In short, children repeatedly lose a sense of the function of reading. Testing is not teaching. Teaching is choosing the right skills based on an astute observation of the child’s needs. Good teachers know the interests and passions of their students and know how to put good books in their hands. Testing has deprived teachers of the time they need to teach the skills that will enable children to become better readers. Teachers know that testing inflates the curriculum, that testing itself has become a major subject. Many school systems have three or four layers of tests (building, district, state, national). The time lost taking tests does not include the time lost preparing to take those tests.